On Sunday, while I was enjoying perfect winter weather on Senja on the last day of my first photo workshop of the season, Lofoten was getting blasted by a winter storm. 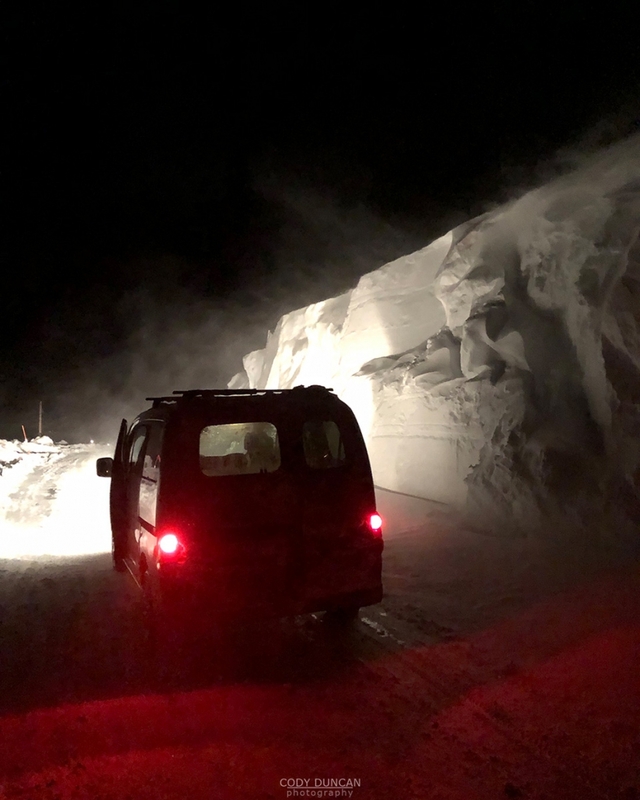 The radar was just a cloud of heaving snow flowing directly into Lofoten. And so while I was photographing a fantastic northern lights that evening, Lofoten was in full shutdown and emergency mode: flights canceled, roads closed, and people evacuated from avalanche zones. Returning Monday evening I saw the chaos that had hit. Even with a full day to dig things out, the islands were just beginning to recover. My road was closed due to avalanches, so instead of going home, tired after 10 days on the road, I had to stay with friends for several nights. I was a bit stressed, as I had to go to the police in Svolvær on Thursday to drop off the paperwork for my visa renewal. Tuesday arrived and more people were evacuated and more roads were closed – west Lofoten still remaining cut off. Finally on Wednesday, so roads were beginning to be cleared and open up again, including my road. I had somewhat optimistically thought that if the road remained closed, I could perhaps just walk home and grab the paperwork I needed, then head out again. But as I drove out to my small village late in the afternoon, I was completely shocked by my sight. Never before have I seen this much snow on Lofoten, much less falling in one day! 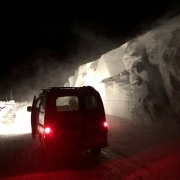 I passed 3-4 meter high snow drifts, and it almost seemed like I was driving through a tunnel at times! I didn’t trust the road, so I just got what I needed and returned to my friends’ place for another night to be safe for heading to Svolvær the following morning. I’m not sure how long this snow will remain. But it is simply incredible! Though with the height of the photo tour season just around the corner, there are going to be some difficulties, as parking is extremely limited at the moment since most pullouts have not been cleared. Even on my ski trip to Ryten today, I had to park down to road at the Kvalvika parking, which only had room for maybe 4-5 cars. So anyone coming in the next weeks is going to need to be a bit patient and understanding of the current situation.